We all want to earn some extra money. With the rising inflation, the cost of living has also increased. Everyone wants to boost their income and enjoy quality living. If you are one such person who wants to increase the income, you may start with scrap metal recycling work. The entire process is a lot simple and there is no cost associated. Items constituted of metals thrown by others will help you to earn money. It is extremely profitable to sell off scrap metal items. Metal recycling can also benefit the economy and the environment. The price of scrap metal recycling was very high a few years ago when the industry was in a boom. Many people wrongly believe that collecting scrap metals imply a waste of time since you have to travel long distances. However, this is not the case. You just have to keep your eyes open and be alert. Look for items like old cans, car parts, old washing machines, metallic bars, steel rods, etc. If you are a keen observant, you can find scrap metals in your neighborhood itself. You can also check with several dumping sites to find scrap metallic pieces. You can definitely talk to the people in your neighborhood regarding scrap metals. They can provide you with scrap metals. Let them know that you are collecting and want to recycle them. You may personally visit their places to pick the junk when they want to dispose. It is your neighbors that can give first opportunity to gather scrap metals they dispose. Humans throw off metal junks in large quantities on a regular basis. You can check with garages, plumbers and electricians to collect scrap metals. They are indeed excellent resources when it comes to collecting scrap metals. Items like old gadgets, AC and water heater can give access to metal junk in huge quantities. Since electricians, plumbers and automobile repair shops do not have any time to dispose junk metals and so you can take them over. Such professionals will be more than happy to assist you. If you are lucky, they may give you some money for removing the waste. How to store metal junk? After you have gathered scrap metal, it is time to store them for recycling. 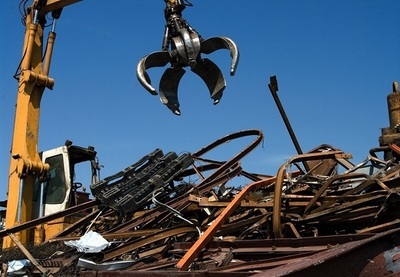 You will need a large storage space for scrap metal according to the quantity gathered. It may be that the backyard, garage or your home is not big enough. You may again ask your friend to provide you any vacant space for the storage of cans, bottles, car parts and electronic gadgets that are of no use. If that is not possible, you may rent a space if possible. Now comes the time to sort the junk prior to recycling. If things are sorted out properly, it will not be difficult to recycle it. You can quickly access the items, prepare and manage the inventory. Appliances and gadgets come with various parts and not all of them are wastage. Some of the parts and components are useful also. You can cut the parts and keep them separately. Indeed, you may sell them off to earn money. Sell off the components directly to automobile manufacturing company or appliance manufacturing unit directly. You may also look for metal dealers by checking out classified sites. Scrap recycling or metal recycling can benefit the economy as a whole. You can take help from others if you want. 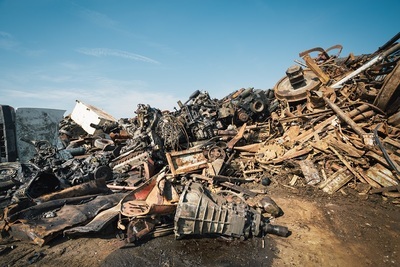 If scrap recycling is not possible at your end, you may sell off the scrap directly to recycling center to make money.